Quote: "Ensuring the Safety of the Universe is Job One." Original fireball cannons augmented with Blizzard bazooka, mounted in ladder assembly. Can freeze targets solid upon contact. New armor, when working, can stop nearly all forms of armor-piercing and electrochemical attack. Will break down and cry when teased about his new look. Small childrens' taunts hurt him the most, as they normally love firetrucks otherwise. 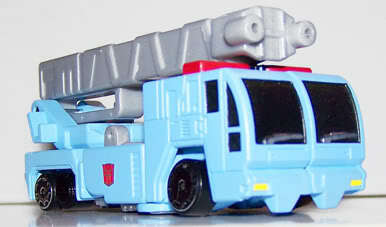 "You look smaller in person than in pictures," and "You're not a REAL fire truck...you're blue, and not big enough." Size matters. Notes: Yep. You want 'em, you got 'em. The Last Autobo, er, The Last Dairycon. :-) Talk about blowing your load. 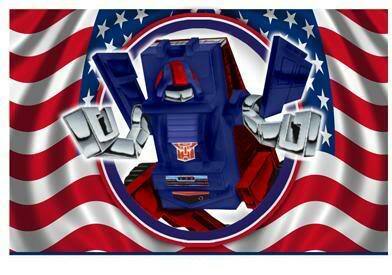 Obviously, 'Hotspot' and 'Autobot' belong to Hasbro, etc, this is merely for parody purposes, etc, etc. Spot was the Lucky Draw Limited Raffle Exclusive only available at Dairycon 2008. Only 5 were available at the convention. Some darn fine work. If you think this is great, you should read part 5 of the PlotHole saga, where it's revealed that Spot...oh, but I've already said too-much. ;-) The prototype for this character (spots and all) can be found here. Quote: "Heroes aren't Born; they're Made." An emmisary of Primus, from what has been referred to as the Marvel Universe. Rumored to be one of the Ancients, given his appearance as an unknown character thru various points in history. He prefers the Brawn chassis, but has been spotted as Bumblebee. Of his many accessories, PLOTHOLE is most enamored with his Shard of Primus' spark, which he affectionately calls his 'Macguffin'. Little is known about PlotHole's travels prior to now. It is said that he's best known for creating 'focal points' in history; whispering into the ears of those who would listen, and touching upon Heroes who will rise up in their race's darkest hour. 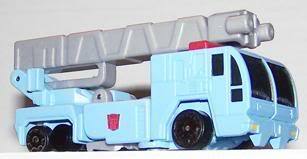 Due to his travels, PlotHole accounts for most unknown characters in the Transformers Universe; thus plugging numerous 'plot holes' in the timeline. Using the Shard of Primus' Spark, can travel from one point in the universe to another. He is able to reformat chassis as needed, though for some unknown reason he never changes his color scheme. Obnoxious color scheme, while useful for damaging the optics of his enemies, usually ends up with him being easily spotted. It doesn't occur to him to change his color, even when he changes shape. Although he travels the universe, he cannot travel in time. As a result, PlotHole is suseptible to aging along with the rest of the universe. His true status remains unknown. Notes: There. *That* should answer some questions. :-) It's true; PlotHole was in the vintage Marvel Transformers comic. 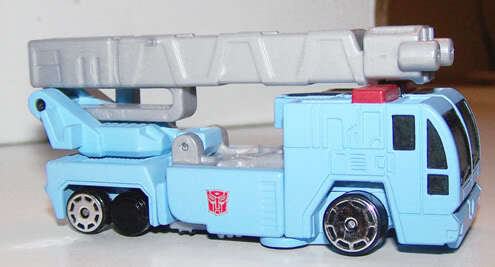 Seen in issue four, it was once thought that this was a miscolored Brawn. Of course, we now know better. :-) There is a further scene in the same issue where Plothole appears as a red and blue Bumblebee. Obviously a clever disguise. For those that follow the Dairycon storyline: congratulations. You know that PlotHole is currently disguised as Defensis Prime. 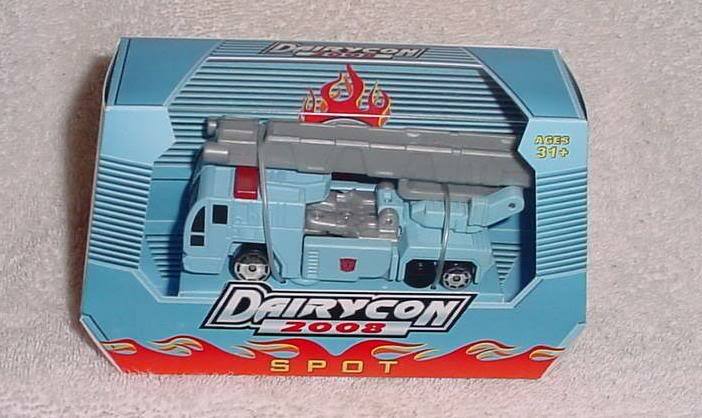 PlotHole (battle-damaged) was the 2008 Dairycon Raffle Exclusive. 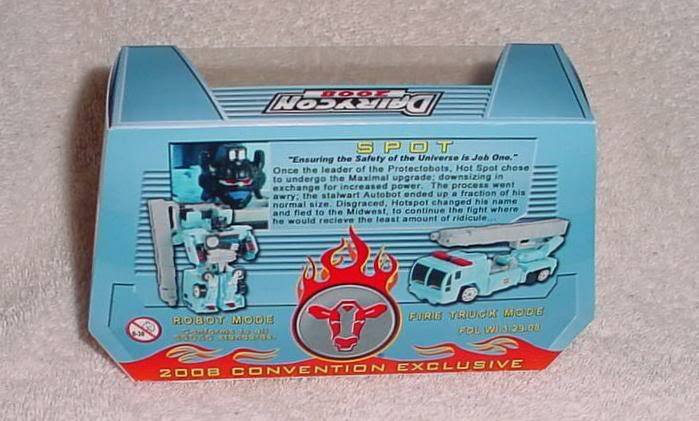 'Premium Format Limited Package PlotHole' was available to Autocon members who signed up for the exclusive. 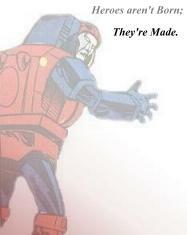 The 'MexiCon New Reformat Defensis Prime Version' PlotHole and the 'Lucky Draw Defensis Maximus' PlotHole versions were not produced.